Arranged by Andrew Wrangell. Individual Part, Solo Part. 3 pages. Published by Andrew Wrangell (H0.193855-229268). Hero is an indie rock song famous for being featured in the 2014 film, Boyhood. The song is about wanting to be just a normal person and not seen as a "hero". 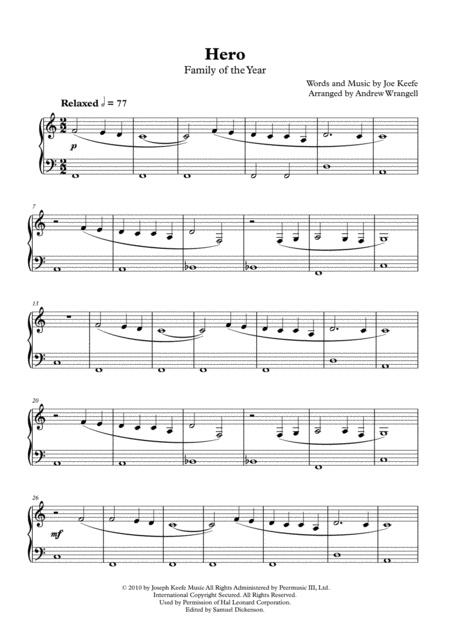 This arrangement by Andrew Wrangell is very simplified and approximately grade 1 level. 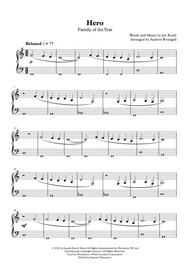 It's a great song and sure to be a fantastic repertoire choice at a concert, especially for recent beginners!